We are open 24/7, 365 days a year !! 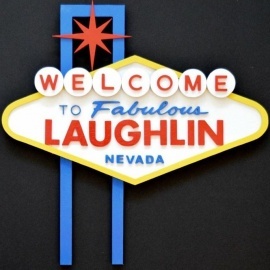 We have 15 machines with multi-game options, $.05, $.25, $.50 & $1.00 play for your gaming pleasure !! Drinks are free with max coins bet and very affordable if paying cash !! We also have a 2015 Golden Tee Golf game, a new touchtone digital jukebox with a complete library of all types of music with surround sound, two dart boards, two pool tables, 7 flat screen televisions for ALL your favorite sports and entertainment pleasure...we will be providing the NFL ticket and you can watch all your favorite teams all day Sunday !! Monday & Thursday night games too. We will have drawings & prizes during these games. We have a very beautiful property with water and mountain views. We are right off the Colorado River and have a free boat launch, dock, BBQ, horseshoe pit for outdoor enjoyment....our lawn and beach are undergoing renovation so that you, your family & friends can enjoy....We will be having many outdoor events and parties, so come check us out and spend some time with the "Blue Crew"...we are here for you !! 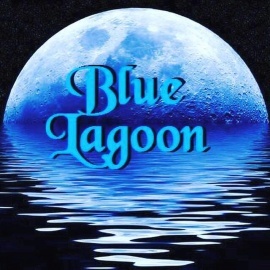 The Blue Lagoon is a friendly, relaxing and fun destination ! !